May’s “First Monday, First Person” salon morphs into the Goodman South Madison Branch Library’s Annual Celebration of Writing on Monday night, May 5th. 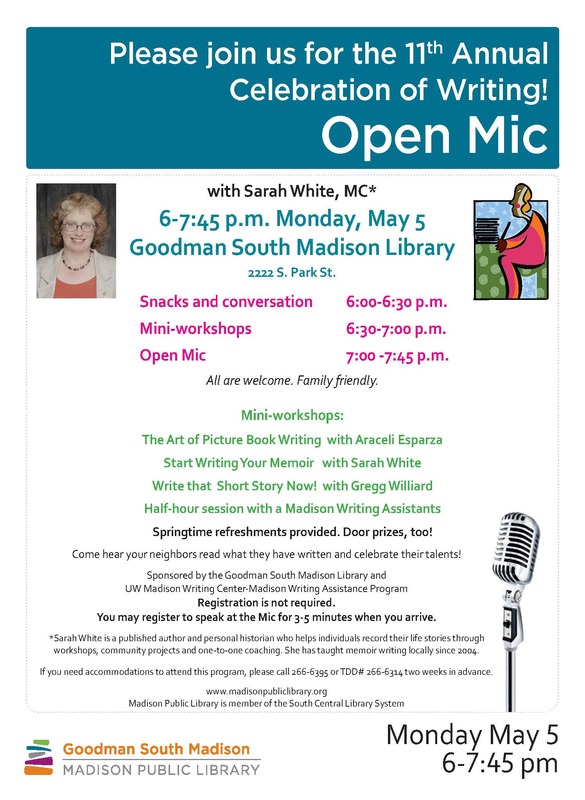 If you are in Madison, join us and enjoy the writing talents of our community! p.s. Thank you, everyone who has sent me travel essays for the Vicarious Wanderlust season about to begin on True Stories Well Told. Keep those stories and photos coming!